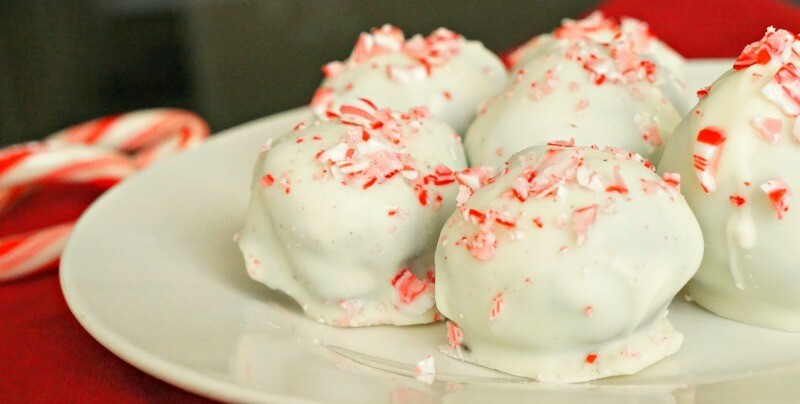 This easy 4 ingredient white chocolate peppermint OREO balls recipe is a fun, candy cane inspired treat. 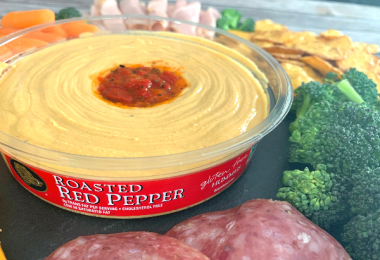 We love an easy, no bake holiday dessert recipe! Ahhh Christmastime is here. My family loves to go all out when we celebrate the holidays, which means decorating the tree, Christmas lights, stockings full of goodies, Christmas carols, and lots of time with family and friends! Our tradition is to gather at my Grandma’s house on Christmas day, exchange gifts, and eat good. Bringing dessert is a must, and we loved these no bake OREO truffles recipe so much that we thought we’d make something similar for the holidays. If you’re looking for a good no bake holiday dessert recipe, this is the one! 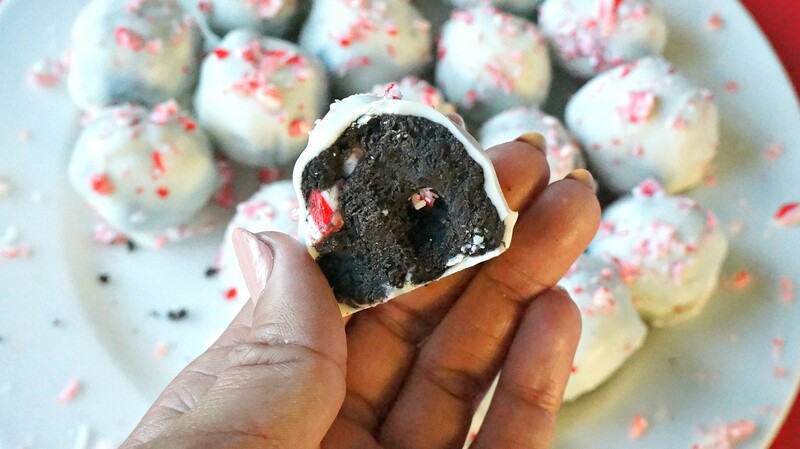 Using just 4 ingredients, you’ll love this white chocolate peppermint OREO balls recipe, no cream cheese needed! In a food processor or blender, pulse the whole package of OREO cookies until they’re in crumbles. Add half of the crushed candy canes and melted butter to the food processor, pulse until well mixed and the batter is slightly wet. Melt your white chocolate in the microwave or using a double broiler, make sure you follow the package’s instructions! Dip and coat each OREO ball completely into the melted white chocolate and place back onto the cookie sheet. Once they’re all dipped, sprinkle the remaining crushed candy cane pieces onto the tops of each OREO ball and refrigerate another 10 minutes, or until chocolate sets. 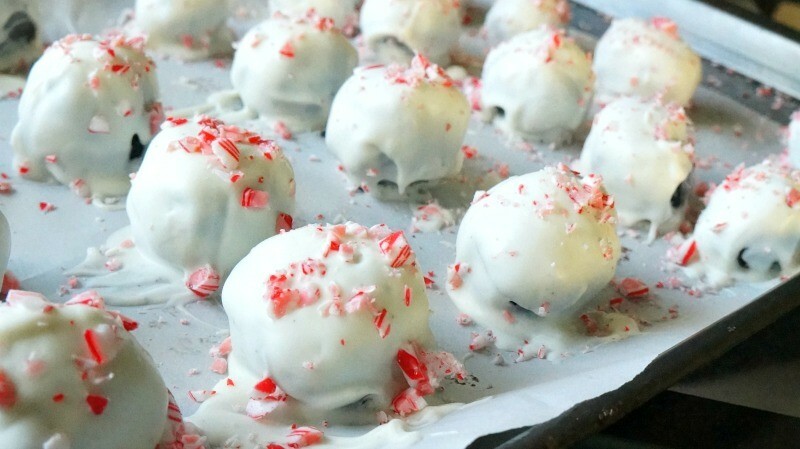 Try out our white chocolate peppermint OREO balls recipe. 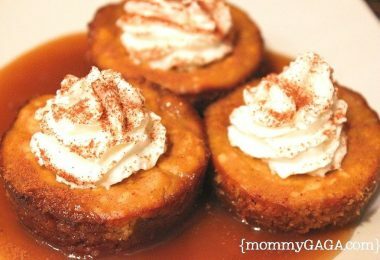 This no bake holiday dessert recipe is super easy to make, and it turned out really good! The chocolate cookies with a peppermint flavor are such a fun treat. 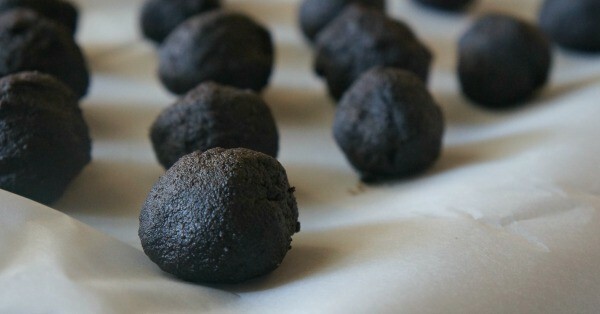 Also, try these dark chocolate OREO truffles without cream cheese, they are just as good. Enjoy! These look delicious! My granddaughter and I are going to enjoy making these. Thanks for the recipe!